With Trump’s looming threat to breakup NAFTA, North America’s long love affair, Canada is preparing for the potential heartache as trade negotiations deteriorate. As we continue to hear on the news or see on Twitter, Trump refuses to be “taken advantage of” by other countries any longer. This could be the worst breakup story ever. So Canada, grab a tub of ice cream and get your tissues ready. It could be a bad one but something tells me we’ll be okay. Everyone goes through breakups. Some worse than others. 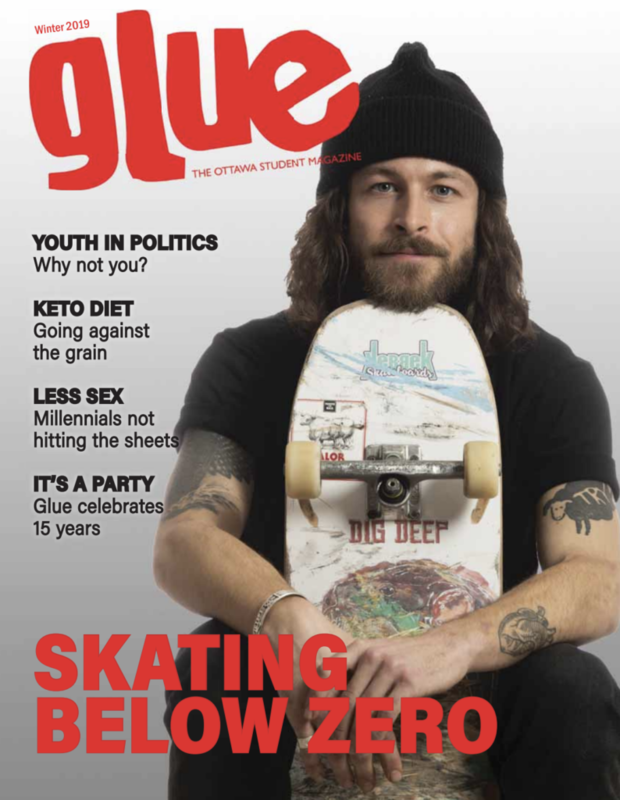 Glue spoke to Ottawa students to find out if anyone has had it worse than North American trade in 2018. Anna Mull dated her high school boyfriend for a year and a half. In her eyes, they were perfect. Until she walked in on him with another girl at a party. After a few weeks of banter, he finally admitted he had kissed someone else. Mull instantly broke up with him. After the official split, he continued to beg for forgiveness. A few weeks later, he started dating the girl from the party. Nearly a year later, Mull and her ex don’t speak to each other. However, thanks to mutual friends, she still hears stories of him getting drunk and asking about her all the time. In grade 11, Paige Turner dated her ex-girlfriend for a couple of months. Because her girlfriend was not out of the closet yet, Turner found it difficult to be a normal couple. “It was also my first relationship so it was just destined for failure,” says Turner. The week before Valentine’s Day, Turner ordered her new girlfriend a gift before heading on vacation with her family. While on vacation, she sent her a message to confirm their plans for Valentine’s Day. Instead of confirmation, she broke up with her. According to Turner, less than a month later, her ex came out to everyone and began posting online about how lonely she was. David Glickman, counsellor at Algonquin College suggests practicing healthy boundaries when going through a bad breakup. “What adds a layer of complication these days is the complicating factors around social media,” says Glickman. Being blocked by an ex, creeping an ex or the ex’s new partner, or having an ex or their friend write negative comments, can all complicate things. “These kind of situations make healthy boundaries challenging to negotiate,” he says. Try to avoid the post-breakup social media craze. At age 15, Brett Smith had been dating his ex for only about two months. She dumped him when she realized their relationship wasn’t making her previous boyfriend jealous. At the time, Smith wasn’t in the greatest mental state, stemming from feelings towards being adopted. She was aware of this but still chose to use this against him. “She said exactly this: ‘I don’t want to date a failed abortion’,” he says. Afterwards, she returned a hoodie of Smith’s after taking a lighter to the hoodie strings and writing the word “fag” across the front in sharpie. In April 2017, Jamie Broomfield and his girlfriend at the time moved in together. With a previously rocky four year relationship, by September, the two decided to part ways and agreed they were toxic for each other. “The next three months were a living hell,” says Broomfield. Broomfield remembers loaning her his car to keep peace and her using it to meet other guys to hookup with them. He remembers the many hurtful texts he’d received from her following the breakup. Broomfield experienced this all while working full-time and being a student during the Ontario college strike. He only felt the tension begin to fade about two months ago. Sue Cliff and her boyfriend had an on-again-off-again relationship for about two years. This past year, Cliff found a house for the two to rent. He was living in a different province at the time and was supposed to move to Ottawa while Cliff finished school. When she found out the house had been taken, Cliff was upset and wanted to call him. Out of concern, Cliff called his house and his grandparents told her that he would call her the next day. After not hearing from him once again, three days later Cliff booked a flight to their hometown. Unable to cancel her flight, Cliff headed home regardless. Just recently, things officially ended and they agreed to be just friends. Cliff decided to block him on all social media to help prevent herself from reconnecting with him. Tomás Ramos and his ex girlfriend started dating when he was 15. The relationship ended abruptly two years later, after a joke that had gone too far. They ended up in the same summer school and still had feelings for each other. Out of distress, Ramos deleted her number and blocked her on Facebook. She continuously tried adding him again so he decided to add her back on Snapchat. When Tara Lee’s most recent ex boyfriend first came into her life, she was not over her previous ex. Because of this bumpy start, the two were up and down for four years. Their most recent up lasted just over a year. Although they weren’t official, Lee continued to do anything he asked of her. She would make his lunches, clean his room and his truck, buy him gifts and make him dinner. All while getting nothing in return. After helping him move into his new home, he started seeing someone else and cut Lee out of his life. In Lee’s eyes, she treated him like a king and in return he is ruining her life. “He says it’s his way of moving on,” she says. Canada’s trade relationship with the United States has never been more hostile. In a sense, you could say Trump is breaking up with their trade partners. With Canada and the United States specifically nearing a potential breakup, it may be important for us to make boundaries. So, stay away from Trump’s Twitter, ignore his negative tweets about Canada and don’t creep the tweets of whatever country he replaces us with.